You will be proud to show off these personalized glasses the next time you have friends over for drinks! 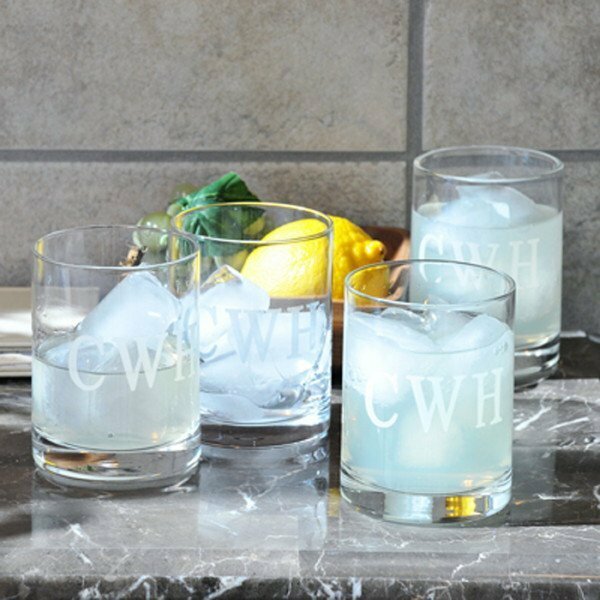 Each set of 4 can be personalized with either a single initial or 3 contemporary block initials (the same personalization will be on all 4 glasses). 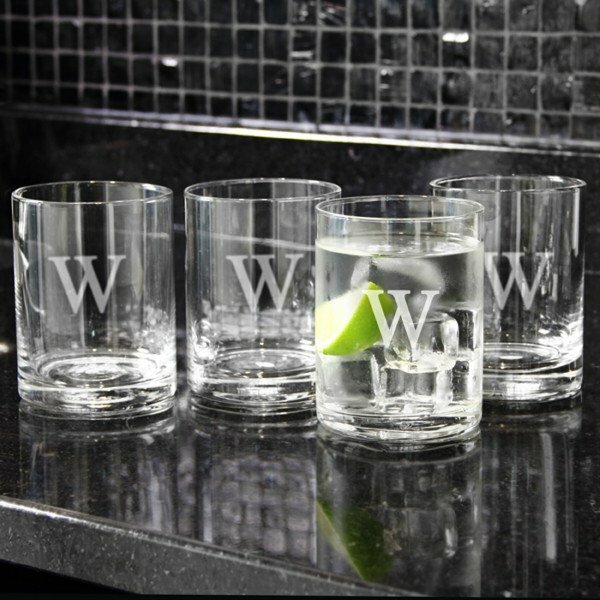 Each glass measures 6 1/2" by 4" and can hold up to 14 ounces. Note - this item is made from hand blown glass which may contain small bubbles. 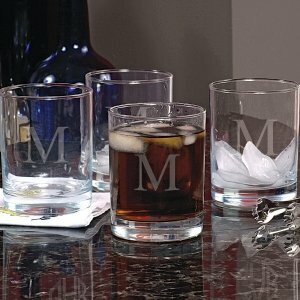 Note - This item includes a personalization, color, size or design option: Single Letter or 3 Letter Initials (e.g., Personalization) (max of 3 characters) (Free of charge). You may specify this information during our checkout process.